The weight of your product plays a major role? 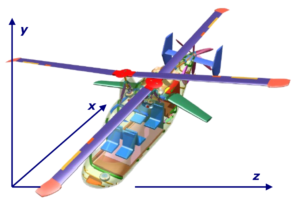 The optimum ratio of empty weight to payload is crucial? In addition to the product weight, the centre of gravity and moments of inertia are also highly relevant? 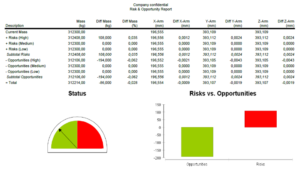 Do you guarantee your customers certain mass properties during the offer phase of a project? We understand you. 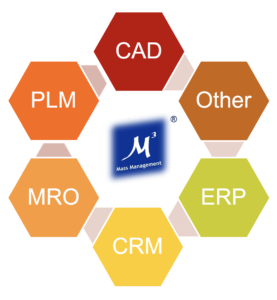 With our product M³® you keep an overview of all weight-relevant product data during the entire development process as well as in global supply chain management from the beginning and at any time. With M³ you can easily and quickly manage mass properties such as weight, center of gravity and moments of inertia of your projects. M³ can be adapted to your individual weight management requirements directly via the user interface. Weight Management is closely linked to Product Lifecycle Management (PLM) processes. With the complexity of your products and the number and worldwide distribution of your suppliers, the challenges for mass management increase. But you can easily manage all this – with M³. In the aerospace industry, in rail vehicles and also in the automotive industry, M³ has proven itself as a powerful and now indispensable tool. Mass Management M³ is the answer to the future challenge of weight management for lightweight engineering!